It was galling to see Venezuelan dissident voices effectively muzzled at OAS today, as the organization voted by 22 countries to 11 to hold a closed-doors session, far reducing the impact of the speech María Corina Machado had planned to give. But it’s easy to overstate the extent of the Venezuelan opposition’s isolation, too. Nearly twice as many people live in the eleven countries that voted against the Maduro regime than in countries that voted with it. Out of the 17 Spanish speaking countries in OAS, 9 voted against the Maduro regime, just 8 for it. In fact, all we saw today was the payoff from a long-running strategy by the Chávez regime to buy off small, weak Caribbean island states with oil subsidies. 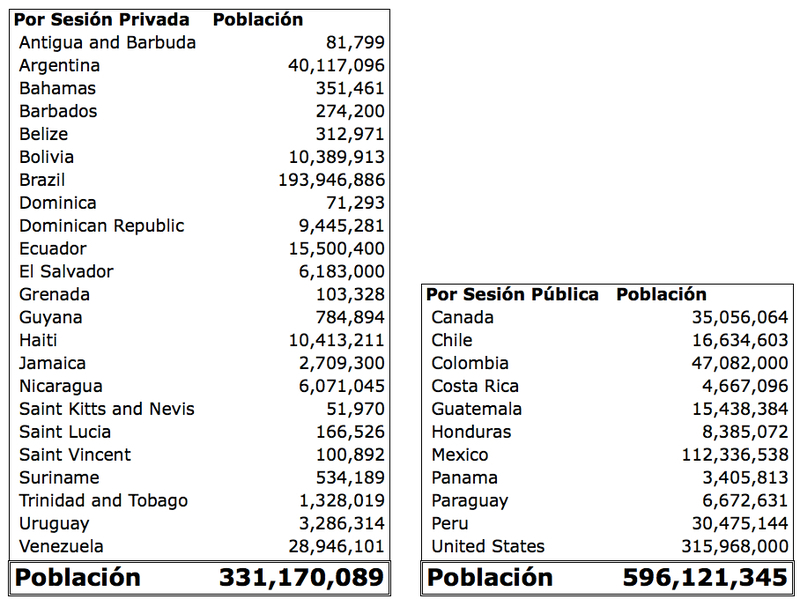 The thirteen smallest countries in OAS voted as a block to support the government, including every Caribbean statelet and every non-Spanish speaking country except for the U.S. and Canada. All today’s vote really shows is that the government went on a shopping spree in the Caribbean, buying off weak states on the cheap. But it’s a funny kind of Bolivarian alliance, isn’t it, where 14 out of 22 countries supporting you don’t speak Bolívar’s language.